Some dogs like to chase or bark at the mailman, but for the dogs on this mail carrier’s route a new delivery meant a special treat. Recently a Twitter user shared that her dad would always carry special gifts for the four-legged customers on his route. He was not only appreciated by his canine friends but by their owners too. 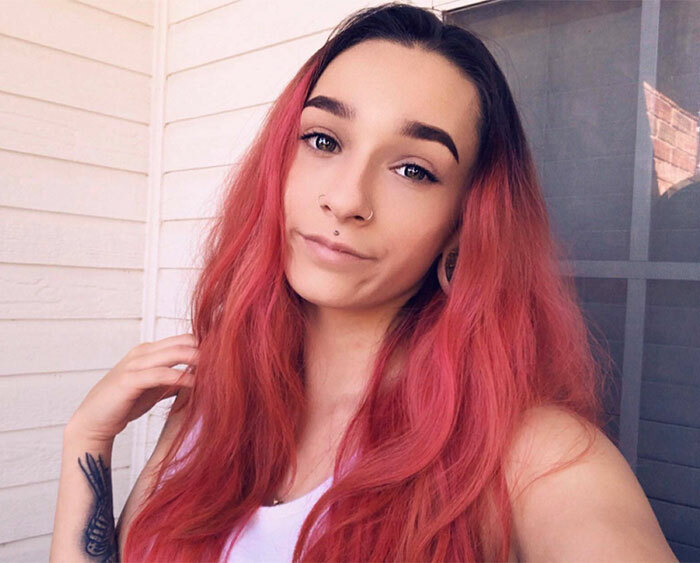 One day during his route, however, he received a heart-wrenching note from one of his regulars with some sad news, their dog had passed away. While normally this would be cause for tears, the former dog owners decided to pay it forward in honor of their pet and the story is truly wholesome. 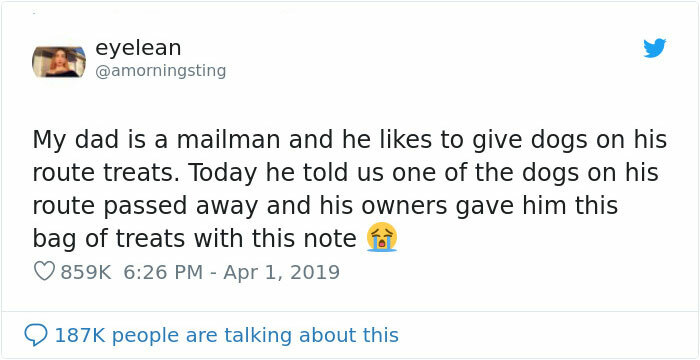 Texas twitter user @amorningsting tweeted out about her dad who is a mailman that gives treats to all the dogs he visits on his route. 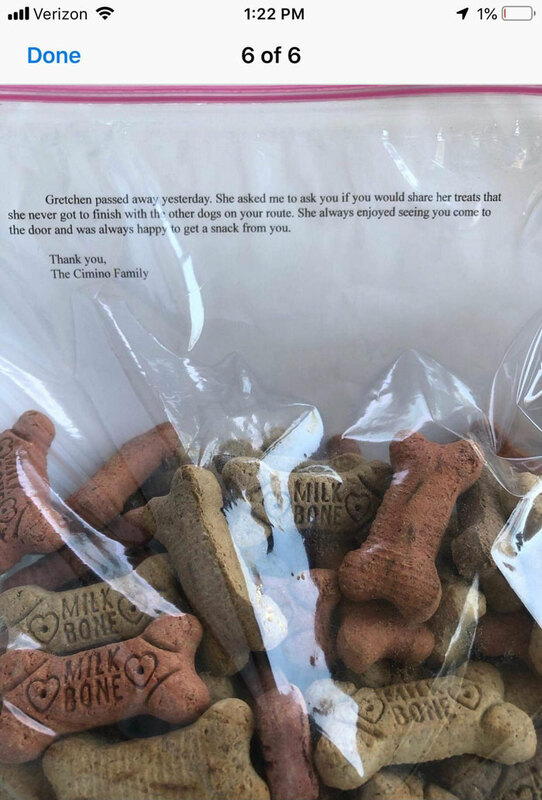 Recently one of his furry friends passed away, and his owners found the perfect way to pay tribute to their pet and thank her dad for all the treats he gave them over the years. 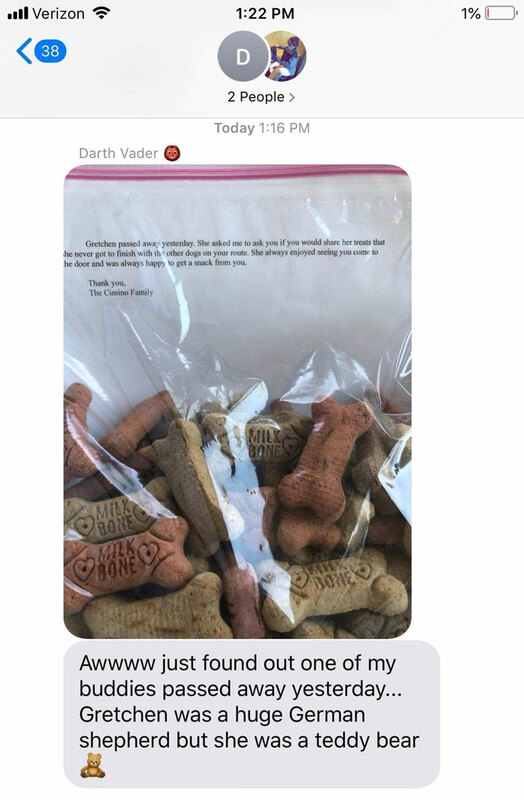 In a text to his daughter, he told her that it was his buddy Gretchen, a huge German Shepard, that had died, along with a photo of some dog treats and a heart-wrenching note that Gretchen’s owners had typed up.